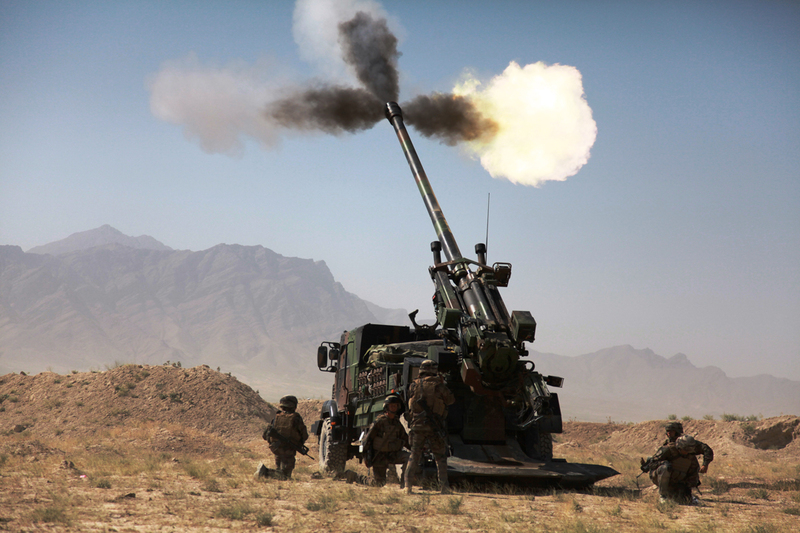 Like many areas of warfare, digitisation is changing the way fire control of artillery is performed. Guns are becoming more responsive and arguably less reliant on a complex supporting network of observers and headquarters. Computation has played a key role in the use of artillery on the battlefield since its inception. This was true even before the advent of gunpowder. The ‘gun chief’ of a Byzantine catapult in 200BC required knowledge and the application of physics and mathematics skills far removed from their infantry counterparts. The complexity of determining firing solutions simply grew with the introduction of the gunpowder cannon which is thought to have occurred in January 1132 in the southeastern Chinese province of Fujian. Since that first use of the gunpowder cannon, the factors that must be accounted for to hit a target included elevation, powder charge and fusing, to name just three. Around 1900 the way by which guns were tactically employed began to change from direct and assault fire, where the crew could see their target, to indirect fire where guns were placed to the rear of frontlines. As the gunners could no longer see their target, the target’s details and location needed to be either pre-planned or relayed to the guns by an observer who could observer the target. At first, fire control had to be performed by visual signals, initially signal flags, and was later performed by telephone. The latter was somewhat satisfactory in stationary warfare like the trenches of the Western Front during the First World War, but less so where manoeuvre was required. Wire lines were also prone to be cut by enemy fires and even friendly troop movements. The number of factors to be accommodated when performing fire control and the skills needed to deliver supporting fires grew with each advance in artillery. This was true both for the gunners and for their forward observers. Determining accurate target location was critical so map reading, range and direction estimation became critical skills. However, each of these was subject to error in the smoke, gunfire and chaos of the front lines. Knowing the gun’s position was now vital and much attention was given to position survey to precisely determine this. It is not surprising then that during the First World War, rigidly planned and executed fire support schedules became common. Difficult to alter, these often did not reflect the changing needs of the forward forces. The early use of tactical radio enabled guns to be more responsive. Adjusting fires by the process of ‘bracketing’ became easier and even allowed artillery spotting from aircraft: Put simply, bracketing takes the distance between shots that have fallen over, and short, of the desired target, and refine the fire control for the gunners within those limits until the target is hit. Relying upon an observer for fire control became the norm for much artillery use during the Second World War. Nonetheless, accurately determining target location and range continued to be a challenge. Limitations in determining position especially restricted the introduction of introduced self propelled artillery. On the other hand mechanical computers were being developed that simplified determining the data for gun laying. These could be used at the battery fire direction centre which could then relay the data by radio to the gun crews. Still, by the 1950s artillery and ammunition technology were overtaking the capability to deliver these fires. The path to a solution began with advances in electronic processing in the 1970s which followed the invention and proliferation of the microchip in the 1940s and 1950s, when gunners were quick to realize the potential for applying even early electronic computers to achieving faster and more accurate firing data. A few years later the ability to more accurately and quickly determine gun and target position was refined though the realisation of Inertial Navigation and Location Systems (INS). Basically, an INS employs a computer, and motion and rotation sensors to employ dead-reckoning to determine a vehicle’s speed and/or position. Still the size and price of these initial INSs limited their fielding to artillery survey teams and selected self-propelled guns. Companies like Sagem (now Safran Electronics and Defence) and Sperry (now respectively part of Unisys and Honeywell), with expertise in INS for ships and aviation, worked hard to adapt the technology for ground use. Much of this was based on early efforts by Charles Draper, a scientist and engineer based at the Massachusetts Institute of Technology. 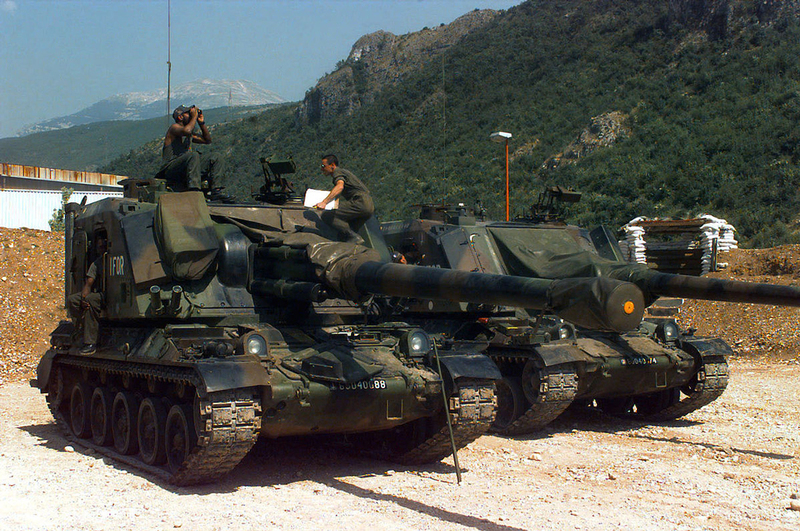 The Nexter GCT-155 155mm Self-Propelled Howitzer (SPH) was one of the first to include not only an INS but also to automate many gun functions including loading. Fielded in 1977 its small four person crew could move, quickly emplace and fire, and then move again. At about the same time two other developments occurred with positive impacts for artillery. One was the Hughes AN/TSQ-129 Position Reporting and Location System (PLRS) which comprised a network of synchronous Ultra High Frequency (300 megahertz to three gigahertz) ground stations. With development lead by the US Marines, it was used by them and US Army through the 1980s and 1990s. Though later overtaken by the satellite based GPS (Global Positioning System), at the time, it offered an answer to more accurate real-time position determination. The second key development in artillery fire control was the introduction of laser ranging. Contained in a handheld or tripod mounted device the LRF (Laser Range Finder) provided real-time distance measurement to a target with metres of accuracy at the push of a button. Combining the observer’s accurate position and the range with the azimuth to the target allowed them to determine and report the target’s position with unprecedented reliability. 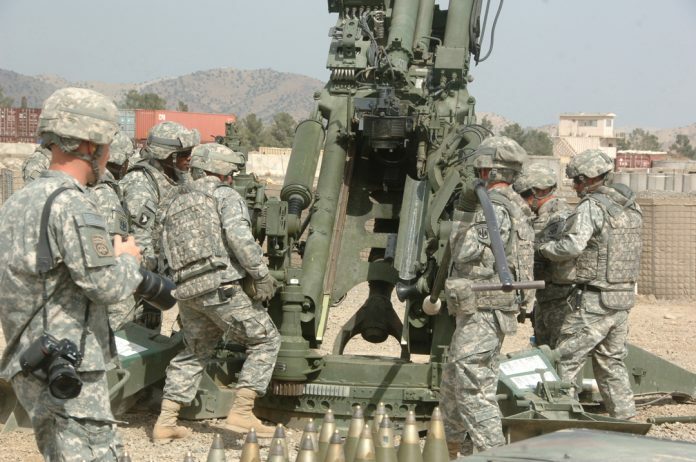 An US Army Fires Centre of Excellence spokesperson reflected that the realization of these technologies laid the basis for many of the capabilities that artillery provides today using more sophisticated hardware. The subsequent digital revolution which commenced in the 1990s with the proliferation of the world wide web and personal computing today offers benefits of smaller size, greater memory, higher speed, and lower price when compared to legacy artillery computer fire control systems. 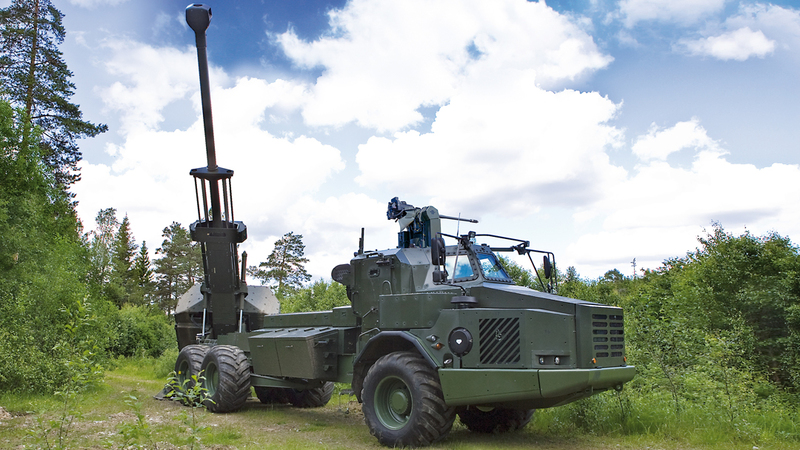 These have further changed the way in which artillery is controlled and delivered. 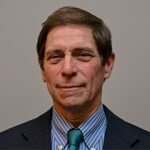 Principle among the benefits is that digitizing has allowed the power of computing to be more widely applied given that contemporary computers are simpler to use, more rugged, and easier to carry or to install on a gun or in a vehicle, compared to their predecessors. The latest technologies also can be networked to transfer data from one device to another across battlefield radio networks improving situational awareness both at the gun, and at the artillery command post. Where once fire direction was reserved for the battalion or battery command post, today a single or pair of guns can perform this task independently and do so more quickly with equal or greater lethality. Meanwhile, Vinghøg’s LP10TL Target Locator and the FOI2000 Forward Observation System offer similar FO capabilities. Vinghøg‘s spokesperson suggested that: “They provide precise and accurate target acquisition during day and night operations including controlling artillery, mortars and naval gunfire as well as reconnaissance and surveillance.” LISA offered by SENOP takes another approach: It is a handheld target acquisition and observation sensor for day and night use. 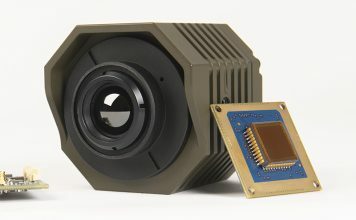 It has a direct-view channel for daytime use, an uncooled thermal imager, a laser rangefinder, a digital magnetic compass, a television camera, and GPS. Though its range is circa six kilometres (3.7 miles) for a main battle tank target, it weighs only three kilograms (6.6lb). Acquiring the target and gathering relevant information is only one step in getting artillery rounds on target. This data must reach the artillery direction system and the guns via the use of digital networking using tactical communications networks. 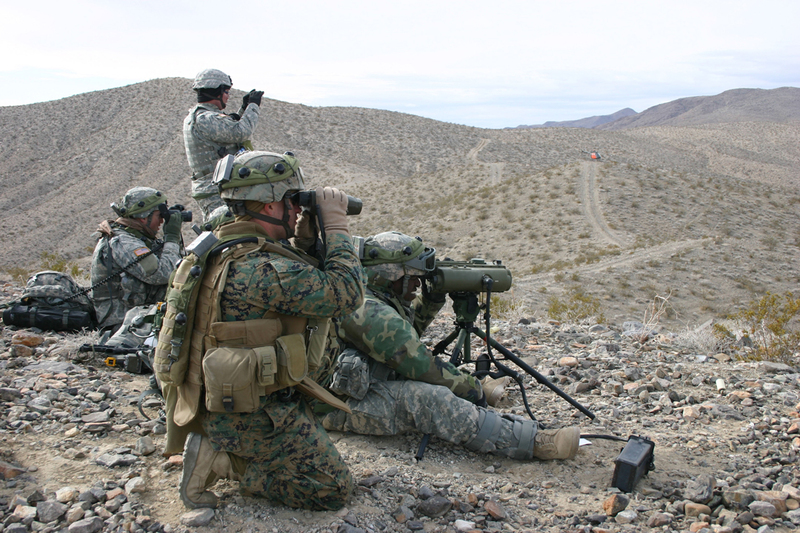 The US Marine Corps’ (USMC) Stauder Technologies Target Location, Designation and Hand-off System (TLDHS) illustrate the capabilities and benefits that can be provided by integrating these capabilities. TLDHS allows Marines to locate targets, pinpoint GPS coordinates and call for Close Air Support (CAS), artillery and/or naval fire support using secure digital communications. The system consists of a laser range finder, video down link receiver and tactical radio. 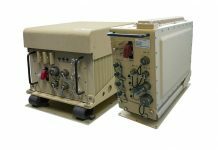 It provides the observer/controller with the ability to self-locate, acquire targets, refine coordinate data for inertial-aided munitions engagement and to generate mission requests for fire support. Using battlefield communications networks, it sends a preformatted call for fire or CAS without the need for voice communication. The application of essentially digital messaging and the transfer of digitally collected target information into the preformatted message accelerate the fire support request process, reduces potential misunderstandings and better assures the request will be received even faced with jamming and electronic countermeasures. It can also concurrently be provided to the most likely responding guns based on their proximity to the target allowing them to anticipate the mission assignment and be ready to respond. TLDHS 2.0 is to begin fielding in 2017, according to the USMC. Digital computation and networking have also changed fire direction and gun laying. 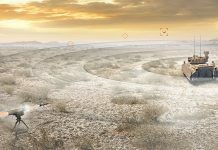 Raytheon’s Advanced Field Artillery Tactical Data System (AFATDS) is a fire support Command and Control (C2) system providing automated support for planning, coordinating, controlling and executing fire missions. It correlates fire support requests, prioritises targets, and performs attack analysis using the latest situational data. The AFATDS is able to recommend the most appropriate firing asset and to coordinate multiple batteries, and CAS and naval fires. The latest AFATDS Version 6 adapts the system for digitisation following an upgrade contract won by Liedos at the end of 2016. 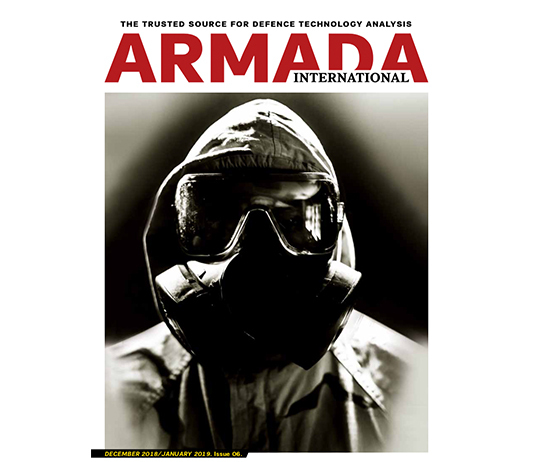 AFATDS is used by the Australian Army, US Army and USMC, and is interoperable with all NATO (North Atlantic Treaty Organisation) fire support C2 systems including the Taranis ADLER in use with the Heer (German Army), the BATES (Battlefield Artillery Information System) in use with the British Army, Thales’ ATLAS product in use with the Armée de Terre (French Army), and Kongsberg ODIN fire control system used by the Norwegian Army. 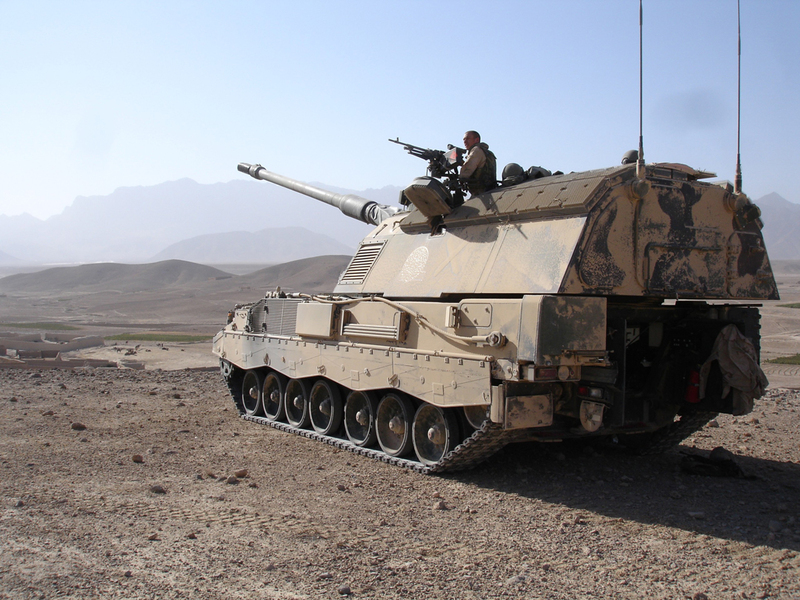 The automation of self-propelled artillery has been occurring for some time. Germany’s newest SPH, the Krauss-Maffei Wegmann/Rheinmetall PzH-2000 is designed to operate as a totally autonomous system. Fire control is provided by an on-board EADS/Hensoldt MICMOS computer. In its automatic mode the weapon will execute the entire mission automatically using the PZH-2000’s onboard navigation, communications and ballistic computing system. A single PzH-2000 can fire three rounds in ten seconds and enhances the target effect by being able to have all the rounds impact simultaneously. The necessary changes to the firing solution are determined and controlled entirely by the system without need for action by the crew of two. This combination of integrated computerized fire control and through automation of all gun servicing functions is being widely adopted. The BAE Systems Archer SPH is also fully automated and can operate as an autonomous system with its own accompanying ammunition resupply vehicle and support. The magazine feed autoloader, integrated navigation, automated gun controls and digital computer allow the crew of four to get the first shots off within less than 30 seconds of halting. Plus, it will fire a three round salvo in 15 seconds with a. MRSI (Multiple Round Simultaneous Impact) capability of up to six rounds, all conducted entirely hands-off by the crew. 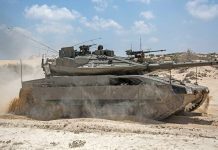 Thanks to new technology on-board electronic ballistic and fire control computation is now possible for towed guns as well as self-propelled platforms. The US Army has developed TAD (Towed Artillery Digitalisation) for its BAE Systems M-777A2 155mm howitzer. Harvey Goldman, the US Army’s deputy programme manager for TAD presented the system as: “built around a heart of a position navigation system using laser ring gyros.” It takes all of the functions previously conducted at the battery Fire Direction Centre and places them at each gun. MAS Zengrange’s Integrated Fire Control System (IFCS) provides a full ‘sensor to shooter’ capability, according to the firm. The IFCS is a flexible standalone system that can be deployed at the Battery Command Post or at the weapon. It not only performs all ballistic calculations but will accept the fire mission directly from the observer providing both increased response and user redundancy. The expanding capacity of digital systems to widely share not only data but also imagery offers an additional advantage in fire support request and control. It allows observers, fire support centres and commanders to exchange images of maps, targets and the target area from other surveillance assets, like unmanned aerial vehicles. This can provide a more effective assessment of the target as all involved parties are able to concurrently view the same details and can build a common understanding of the battlefield and respond appropriately. The digitalisation of fire direction and control and the introduction of networked communication all have the potential to allow the observer and gunner to deepen their synergy. Today’s computers and their accompanying processing power enable the delivery of supporting artillery fires to return to the gun. It removes a number of steps and layers in the firing process which makes it ever more responsive. Yet, the ability to share the entire process of a shoot, from the request for fires to the response permits it to also be monitored and coordinated by both higher commands and by adjacent and associated forces. As this article has illustrated, the use of fire support command and control systems like ATLAS, ODIN, and AFATDS facilitate this on a near real-time basis. The enhanced efficiency offered by digital fires not only can reduce the response time and target effect lethality but also permits the dispersion of artillery assets and their autonomous employment. Fewer guns can deliver equivalent, or greater, firepower more quickly, and with better survivability against counter battery fire than ever before. Technology is reuniting the observer and the gun.